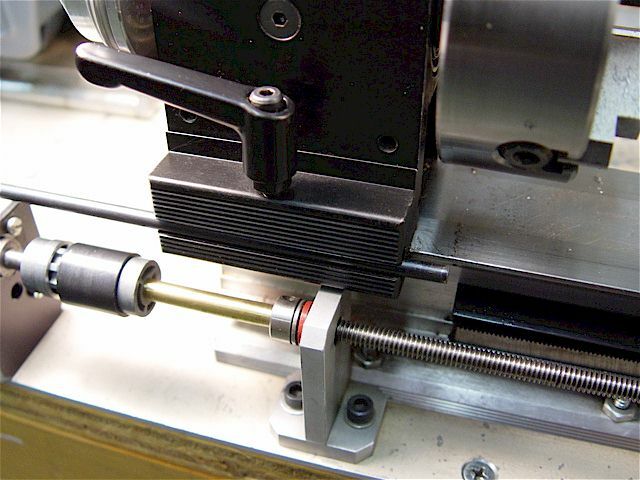 This lead screw modification has been removed for the lathe CNC conversion but the information has been retained for reference. 1.50" long x 0.3150" wide x 0.3115" thick & the steel rods are 0.1915" diameter. 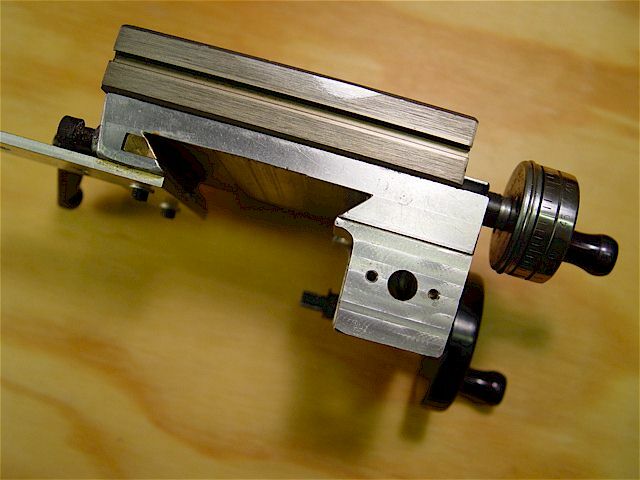 The split-nut subassembly pushed to the side. 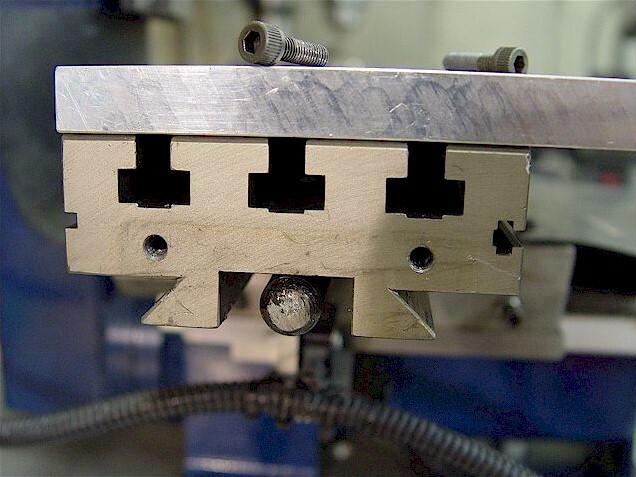 The sides of the carriage are slanted so during production, the part can be popped out of the mold. 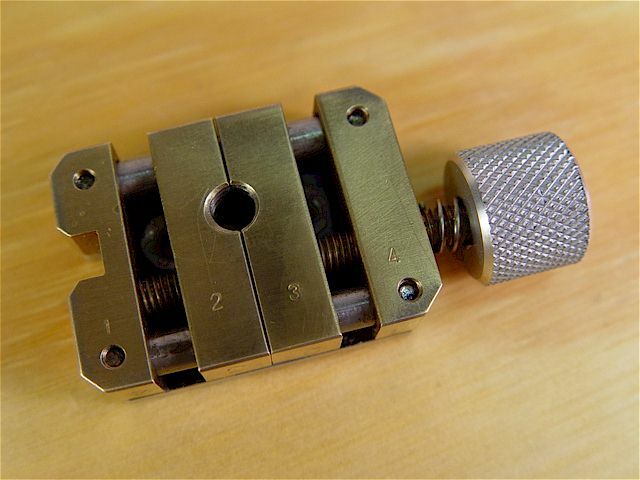 The left side of the carriage was milled so the mounted split-nut would be perpendicular to the lead screw. 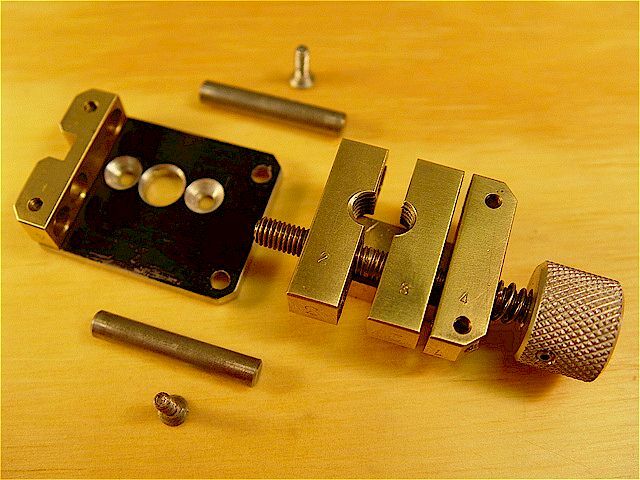 Replaced all of the OEM dial brass spinner pegs with a pivoting-type. 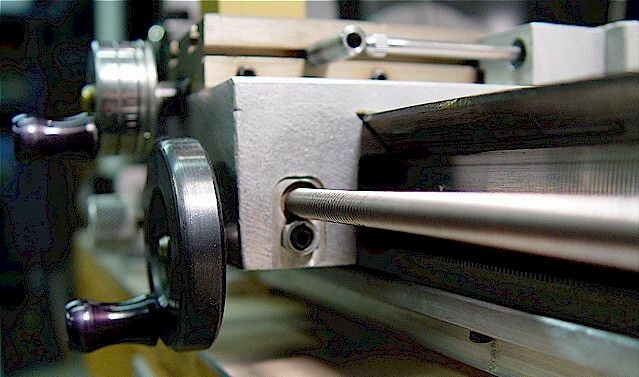 To eliminate lead-screw flexing, a bronze oil-impregnated bearing was press fitted & then reamed to 0.25". 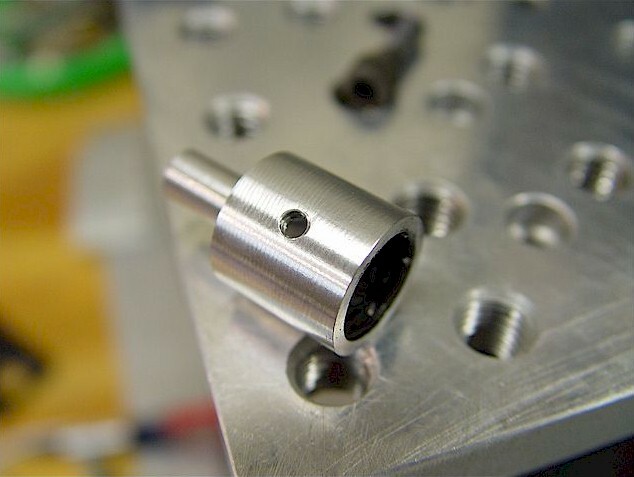 One corner of the set screw nut was milled so it would not interfere with the lead screw. 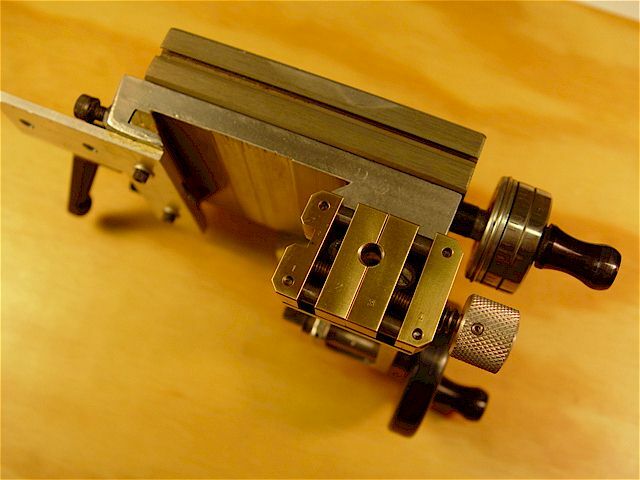 Split-nut subassembly mounted onto carriage. Nut open. 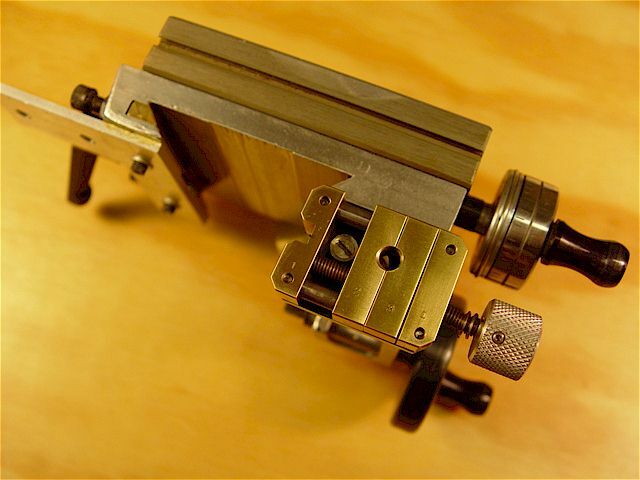 Detail of subassembly attachment. 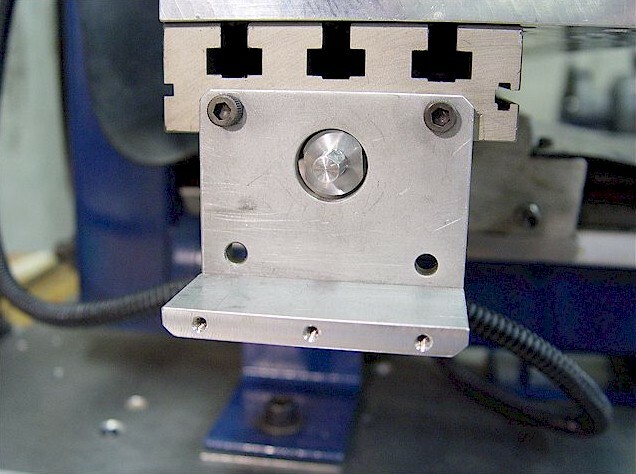 Used 2, 4-40 flat-head screws. 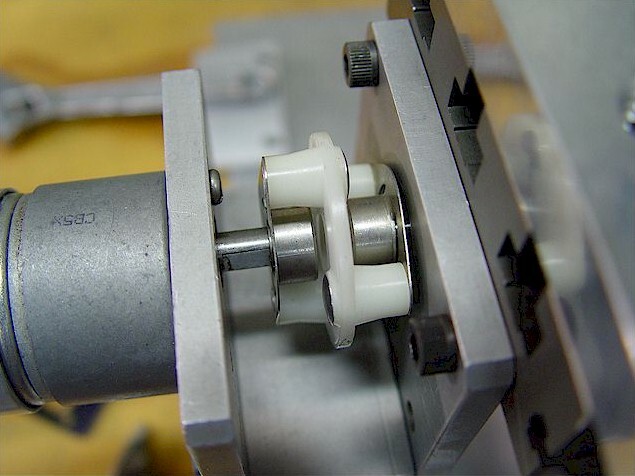 Two (red) thrust bearings are seen & a sealed ball bearing is inside the T-bracket. 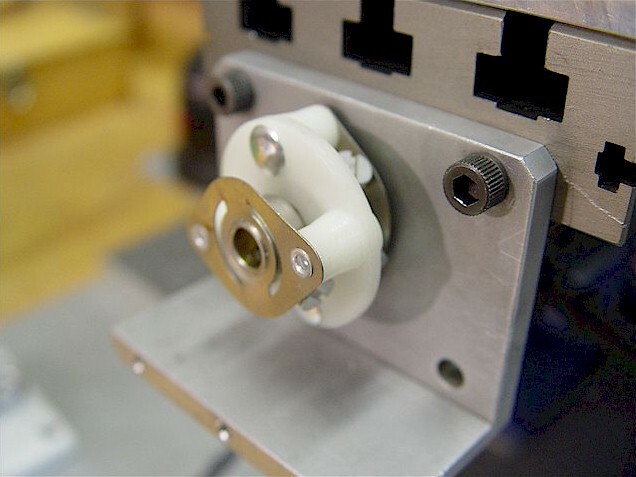 A (red) thrust bearing is visible & a sealed ball bearing is inside the T-bracket. 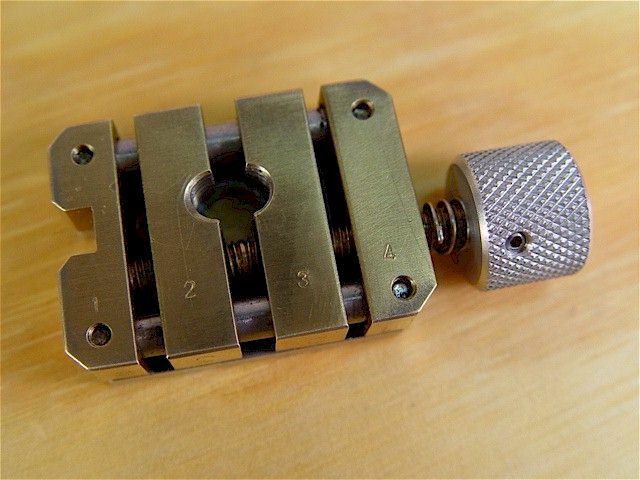 The carriage stop lock screw was moved to the top by drilling through from the bottom & tapping (10-32). Split-nut engaged. 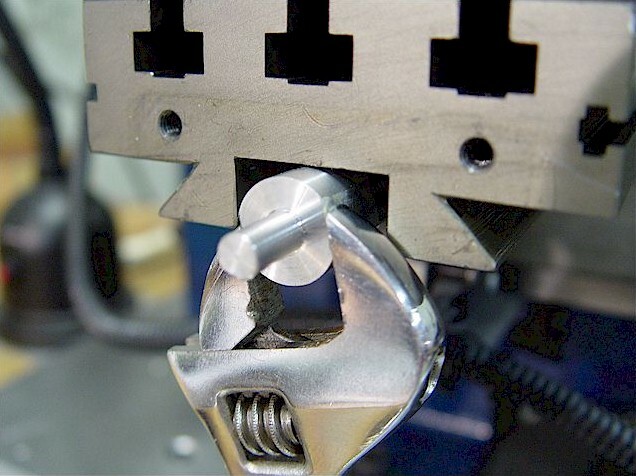 To not cross threads I move the lead screw handle back & forth while engaging the split-nut. An Acme square-shaped thread might have helped this potential problem. 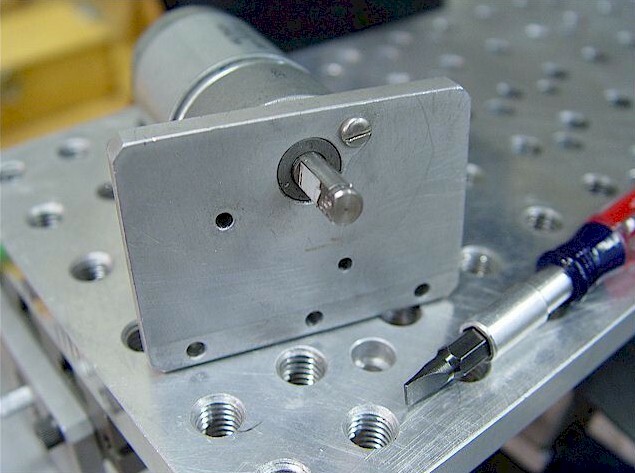 stop bar function & also clear the spindle housing allowing full carriage travel. 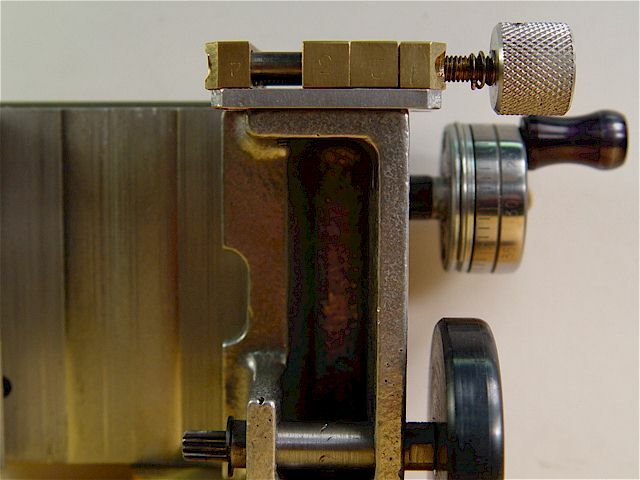 Reamed 1/4" ID bronze bushing to eliminate lead-screw flexing. 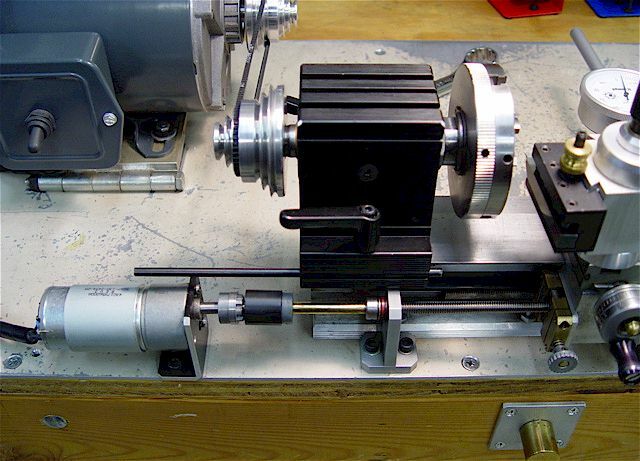 A geared DC motor with a sliding coupler-based clutch was added before the CNC conversion. 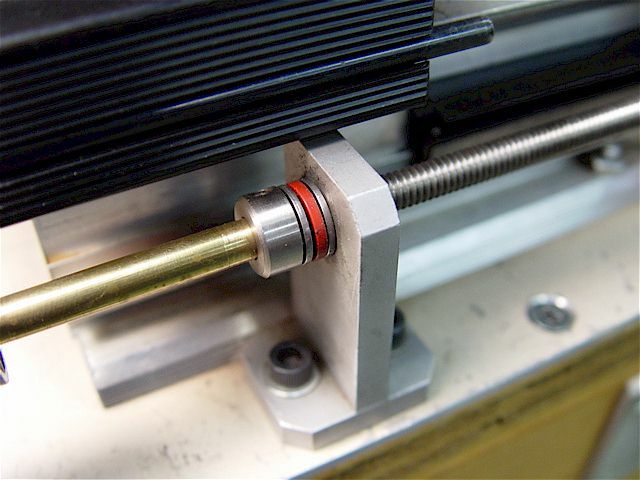 The black rubber outer sleeve was slid right to disengage (shown) & left to engage the splines. 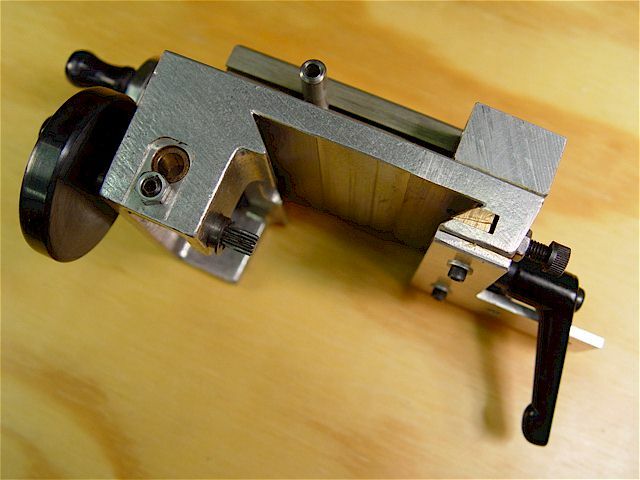 The clutch allows one to disengage the motor & then turn the lead screw using the hand crank. 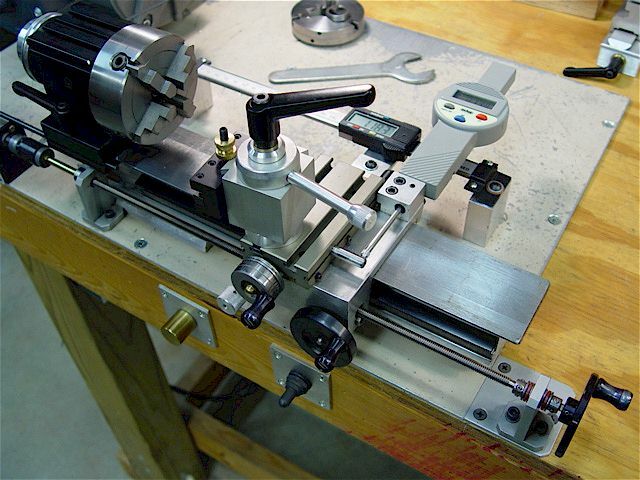 Variable-speed, geared, DC motor drive for the Taig Mill X-axis table. 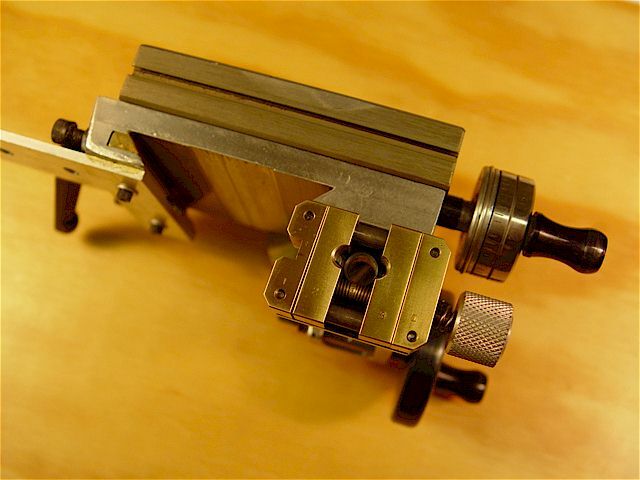 This modification was replaced by the mill CNC conversion. 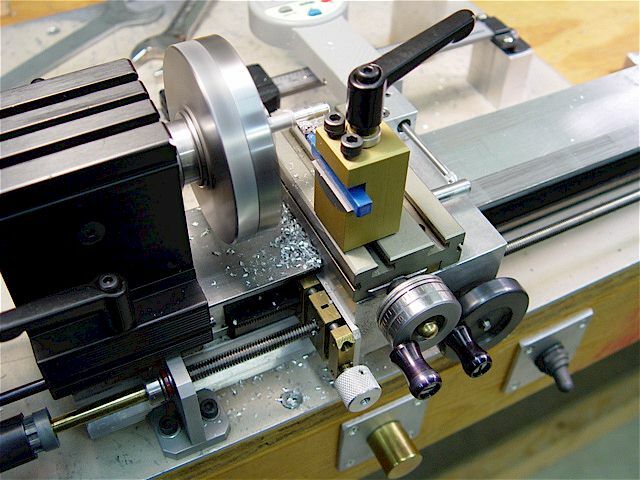 The left end of the table is first drilled & tapped (10-32) to mount the motor bracket. 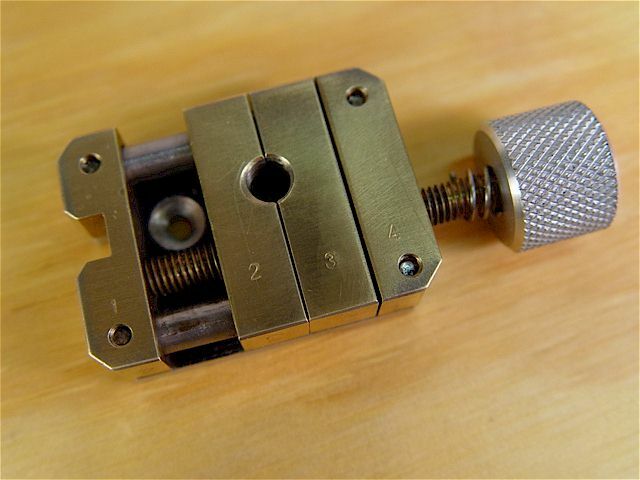 1/4" to RH 1/2-20 adapter with two, 6-32 set screws. 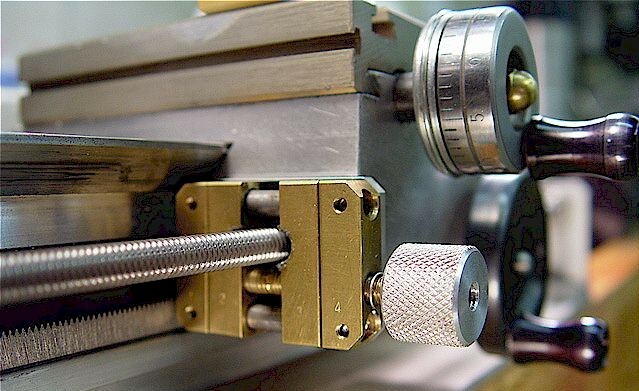 Note, small aluminum threads can strip. (which is a thermoplastic so heat will loosen them). 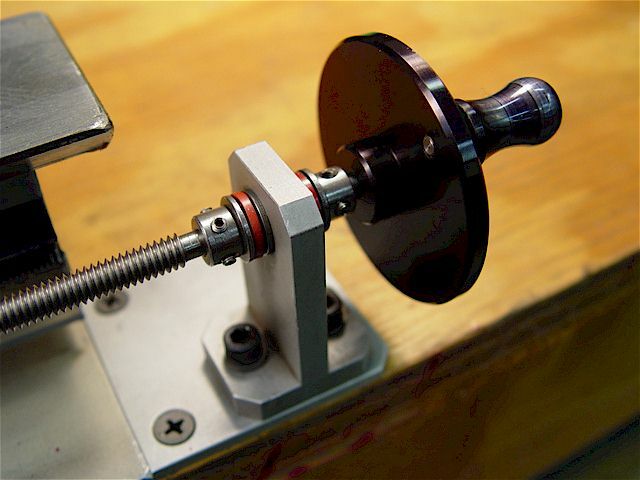 The set screws need to be flush to clear the table. 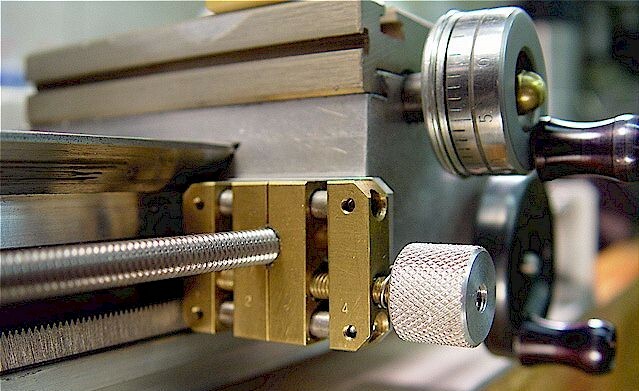 the lead screw, turn the end down to a 1/4" diameter x 1/2" long stub & then machine a coupler with set screws. 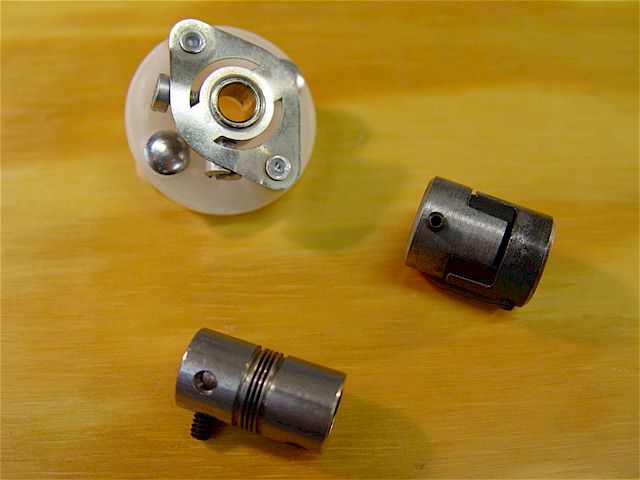 Alternatively, a small zero-backlash coupler could be affixed to a turned-down lead screw end. 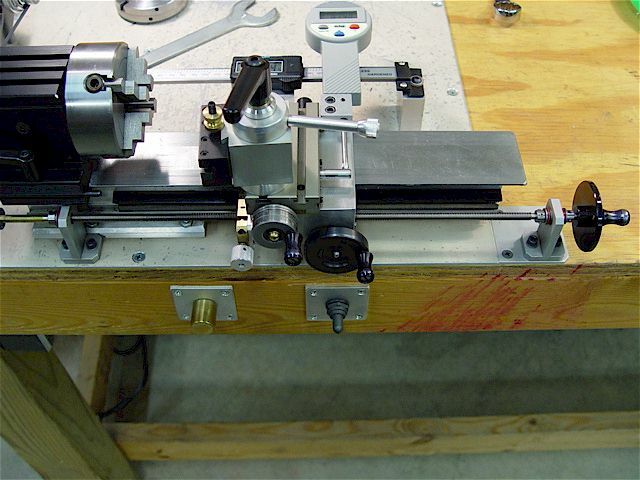 I did this on an earlier modification using a small coupler & a clutch mechanism (see lathe above). 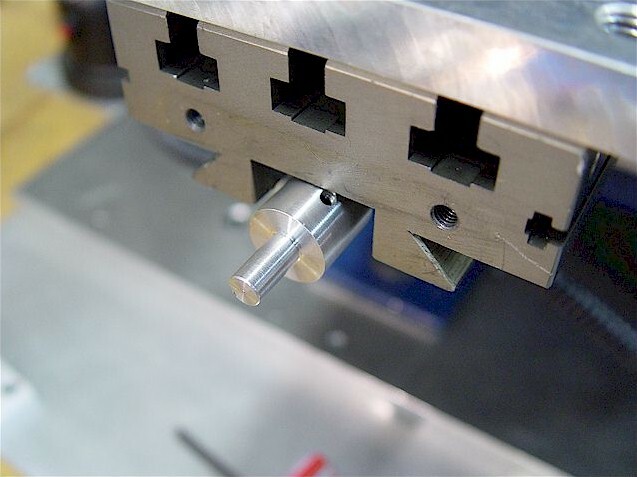 End bracket hole is centered on the shaft. 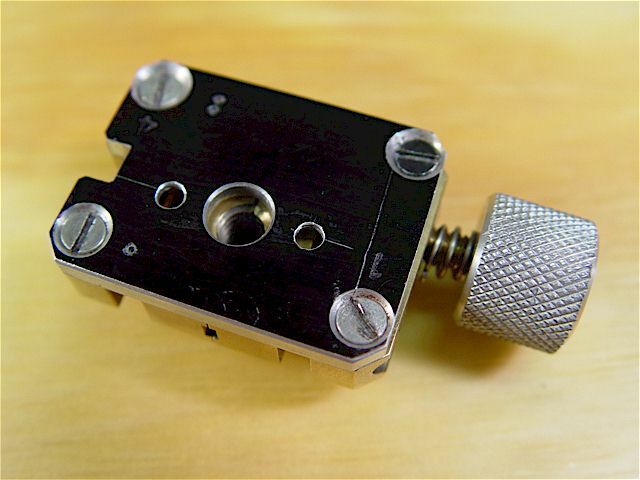 A zero-backlash coupler is attached to allow for slight misalignment. 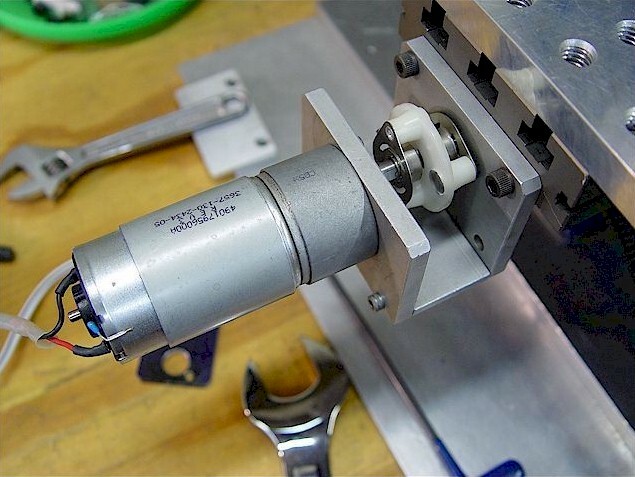 A surplus DC motor with gear-reduction transmission is mounted to its bracket. 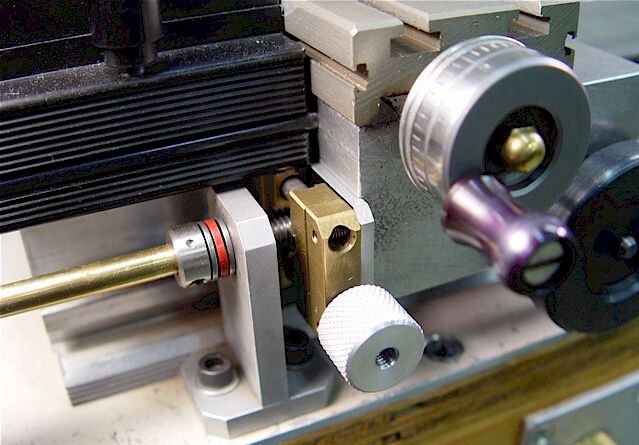 Its gear train gives the small motor good torque which is needed to move an end mill through metal. 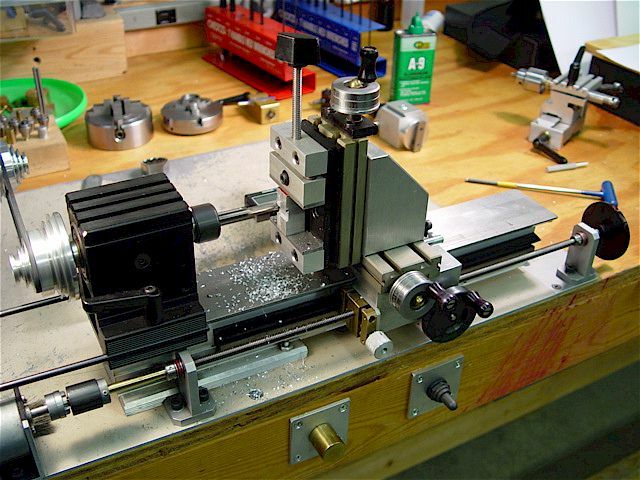 Fully assembled table motor drive. 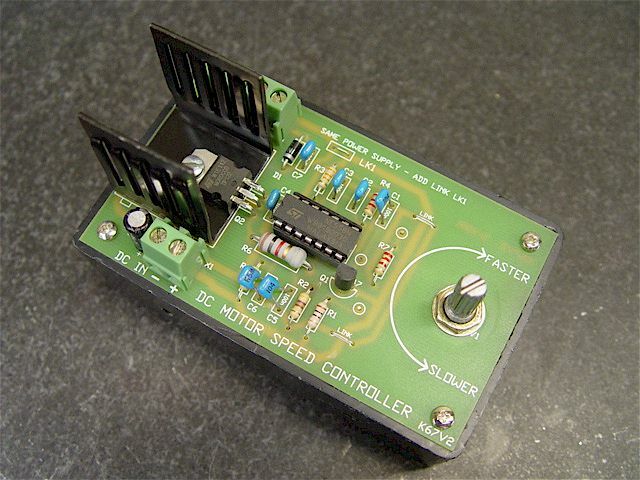 Kit-built variable-speed DC motor speed controller is used to vary the motor's RPM. Use this diagram to wire motor direction switching. It is placed in-between the controller & the motor. 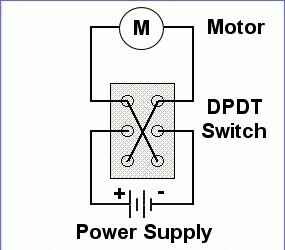 A Double-Pole Double-Throw (DPDT) switch with a center-detent OFF eliminates a separate ON/OFF switch. 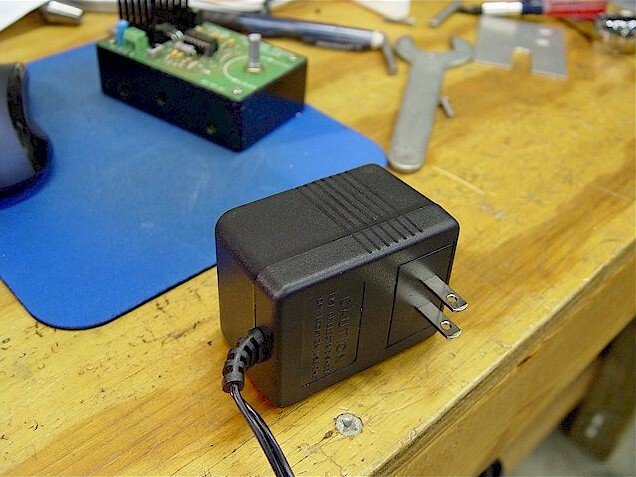 Power supply for the controller is 12VDC 1A.